Big Book study version with a blank sheet opposite each page of text. Open study buddy groups are for reading your written answers to our soul work each week. There are currently two groups, and you are welcome to form more. Everyone is welcome to attend open study buddy groups. Our two open study buddy groups use the SAME NUMBER AND CODE. Reference: Bill's Story, page 9, last line, "He had come to pass his experience..." to page 11, "...the best he had ever known!" Write on the third paragraph on page 11. Can you make this same point-blank declaration: "God had done for him what he could not do for himself." How does it play itself out in your daily life? 1. Add another part to the visual of the triangle. Along the bottom line, write: "100 percent honesty." Is there any area of your life where you are not being 100 percent honest? 2. Have you reached the point of coming to the end of yourself being dishonest? If yes, what are you being dishonest about, and who are you willing to tell? If no, will you be willing to pray for willingness to be honest? 3. Reading from the last line on page 9 to the top of page 10, do you care to have "this experience?" 4. Are you hopeless in any area of your life: money, relationships, friendships, family? Talk about it, bring it to quiet time, ask God how to make an action plan. 5. Write this down: An action plan with God and accountability is the antidote to hopelessness. Where do you need a plan? 6. Look up "contempt." Is there such a thing as good-natured contempt? 7. Do you have contempt for church folks in your past or now? Do you have an open mind? 8. Do you feel contempt for any group of people in our society today? 9. Contempt erodes fellowship. Write about this. 10. Look up "atheist." What is he talking about that few people really are atheist? 11. Why is it important to keep an open mind, on spiritual things, how to work the tools, and what sobriety is? 12. What is your definition of a Spirit of the Universe? Be specific. Who or what is your belief in? 13. How receptive was Bill going to be to Ebby? Write about his reaction. 14. Have you been able to admit "complete defeat?" What does that look like? Write this down: "Willpower is important." We use our willpower to align ourselves with God's will. How do you do this? Reference: Bill's Story, page 8, paragraph 2, "Trembling, I stepped..." to the bottom of page 9, last paragraph, "It worked!" Do you understand that when living in all dimensions, (physical, emotional, intellectual, spiritual), the byproduct is joy, peace and usefulness? Do you want it? How well are you living in the four dimensions? Look up the words, "debauch," "oasis," "rant," "aghast." 1. The fourth dimension of existence is when you have that surrender to using the triangle when life gives you a curve ball. Do you use the triangle? Do you want to have the fourth dimension (the spiritual) of existence? 2. Do you understand that in the four dimensions -- physical, emotional, intellectual, and spiritual -- the spiritual keeps the others in balance and harmony? Do you understand that the spiritual one is the one you let go of the easiest? 3. Our goal for our work is to be rocketed into the fourth dimension of a relationship with God. Do you want this? 4. "I was to know happiness, peace and usefulness in a way of life that is incredibly more wonderful as time passes." Do you believe this statement? Own this sentence. Have you experienced it? Give me an example. 5. Are you truly sober today, body, mind and spirit, living in the fourth dimension? 6. Underline on page 9, "unmindful of his welfare." This is the definition of selfishness. When were you last unmindful of someone's welfare? Write out an example. 7. When was the last time you were mindful of someone else's welfare? Write out an example. 8. How do you relate to what Bill is saying on page 9 first paragraph, about the coming of "an oasis?" 9. What do you say when someone notices in you the "glowing," "something different," something about "the eyes?" 10. How many times have people in your life done something that has totally changed them? What was your response? 11. When was the last time you were cynical about someone in recovery? Write about it. 12. When was the last time you could have been judgmental and cynical, but were not, because you caught yourself? Reference: Bill's Story, page 8, first word "pride." Ending on page 8, "How dark it is before the dawn!" Workshop writing: Write about how pride in one's sobriety or recovery comes before the fall. What does this mean to you? Have you ever had the thought: "I've made it!" Or similar thoughts, "Look at me, I've arrived!"? Share an experience where you can see the pride and how it all turned out. Look up the words, "pride," "quicksand," "insidious," "self-pity," (and make up your own definition of "self-pity" in question #2). 1. Write out the last time you felt loneliness and despair. Share a loneliness and despair story as part of your sobriety story. 2. Write what you believe is a good definition of self-pity for you. 3. Are you full of loneliness and despair, afraid of opening up, even to your buddies or this group? Write about where you feel this in your life. 4. Write how being caught in quicksand is very similar to being caught in addiction. 5. Write about the last time the insidious insanity of the first drink lied to you. 5. Write down "alcoholic insanity." How is it a different type of insanity? 6. Come up with a minimum of 5 insidious insane thoughts that have run through your mind before picking up. 7. How many of you are up all night in loneliness, despair and self-pity when things are not working out? Then the thought comes, "There is hope!" When was the last time the hope came for you, and how? 8. Write alongside "dawn:" I have a choice. Draw the triangle. 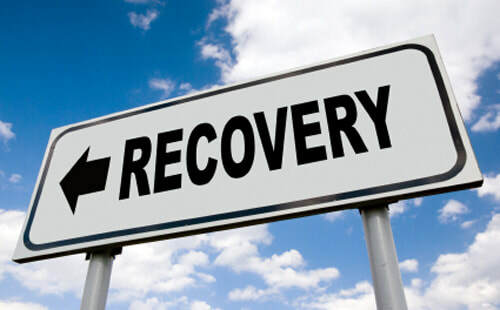 God at the top, you on the right, and on the left corner, write recovery, and draw arrows to those (steps, fellowships, sponsors, buddies, meetings, tools, etc.) In the middle of the triangle, write "life, recovery, dawn." 9. What tools work best for you (to exercise choice)? 10. How is humility the antidote to pride? Chapter 1. Bill’s Story Page 7 from: "My brother-in-law is a physician..." ending through page 7 to the first word on page 8, "pride." Underline in the middle of page 7: "It relieved me somewhat to learn that in alcoholics the will is amazingly weakened when it comes to combating liquor, though it often remains strong in other respects." Group Question: Did you know that before? Have you accepted this in your own life when it comes to your addictions? How do you use your willpower now in God-honoring ways? 1. Who are you? When someone asks you why you don't drink, why you weigh and measure your food, or regarding your other addiction recovery, who are you? What do you tell them? 2. Like Bill, can you relate to being in really bad shape? 3. Are you open to service when asked for help in recovery, for even ten minutes? How are you doing in your service with others? 4. Who did you first meet in recovery? What first piece of literature did you get? 5. Write this down: Self-knowledge is important. What do you think the fourth and fifth step is about? We learn our reactions to life were selfish, dishonest, resentful and fearful. Write on this. 6. Write about how self-knowledge alone doesn't give the power to change. Q1. What is your deeper issue that you really need to work on re. step one? What are you now using to numb out? ‘Should I kill myself? No - not now. Then a mental fog settled down. Q2. Did you ever achieve oblivion in your addiction? Q3. Do you wake up in the morning having terror about something: taxes due, cheating, working under the table, stealing, etc? Q5. What did you do for geographical cures? Have you gone to different types of groups? Did you even move? Divorce? Change jobs? Q6. ‘There is no escape.’ Do you really believe that? Besides your step one addiction, what else do you need to look at? Q7. Has anyone ever mentioned to you they feared for your sanity? 1. Group question: From the Doctor’s Opinion and what we have read about Bill in Bill’s Story, how do I help myself and my step one fellowship and Big Book group understand the double edged sword(1- physical, 2- emotional sobriety thru Spiritual recovery? 3. Am I trying to put 10# of life into a 5# bag? 5. Are you waking up with horror, remorse, hopelessness today in anything or for anyone? I (circle this) will NEVER recover on my own or alone. Announcement: Stephanie is looking for volunteers to help with the workshop when she goes to Israel. Chapter 1. Bill’s Story page 5 paragraph 3: I woke up. Reading ending on page 6 with The market would recover, but I wouldn't. Where are you in your acceptance of step one among all your addictions? Are you white-knuckling? Ask your God, "Where am I with step one on this issue?" Write this down, from page 5 paragraph 3: I woke up. This had to be stopped. I saw I could not take so much as one drink. I was through forever. Can you relate to this pre-step 1 insanity? Renewing my resolve, I tried again. How many times did you try? Take the scenario at the top of page 6 and relate your experience. Without step one, I forget that I am powerless. And in my powerlessness, with God, I can be useful in my powerlessness. Write on this concept of step one. Write about one situation where you remember "the remorse, horror and hopelessness of the next morning." Did you ever get to the point where "the courage to battle was not there?"